The next crisis is just a couple of years away, and Germany will be its largest victim. Economies grow, driven by capital and labour. The ECB monetary policy is currently providing the German economy with enough funds, but the country is experiencing a catastrophic lack of youth, and its ageing labour force is not being replaced as a result of which workforce is already in short supply. 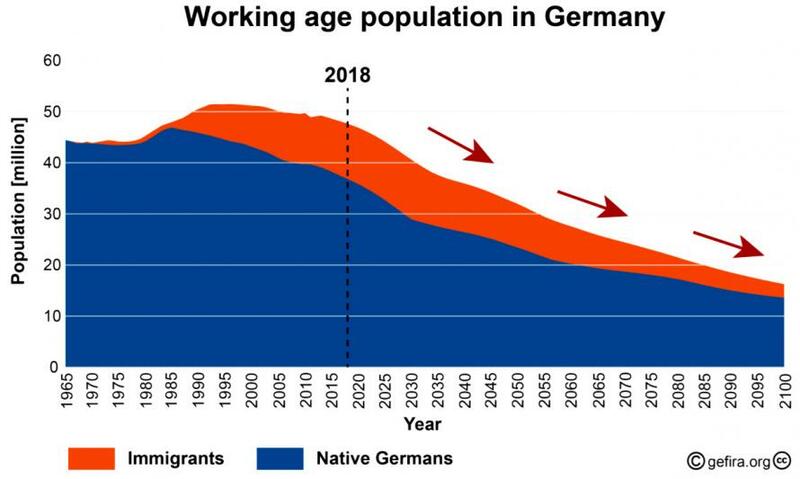 Since the German population is declining at a staggering pace, before the end of the century there will only be 22 million indigenous Germans left. Currently the working population has already begun to shrink. This drop is still moderate compared to what will come after 2020. The disappearing of the nation that has just begun will have catastrophic consequences. The German government recorded a large budget surplus last year, a sign that the authorities are not willing or able to invest in their own country. Germany lacks health care professionals, road construction workers and teachers, but allocating more tax money to this sector makes no sense because there are simply no people available. For that reason road construction sites have come to a standstill and road maintenance is postponed. In order to find consumers and labourers, the German industry is investing in new factories abroad. The shrinkage of the consumer base affects adversely the automotive industry. This is being partly remedied by providing immigrants with handouts. The profitability of the German automotive industry depends on China, a country with the fastest growing car market. Germans, however, are only allowed to have plants in China as joint ventures with Chinese partners. As President Trump rightly noticed, German car sales come at a cost which is the transfer of knowledge. Within a couple of years, the Chinese, adopting the Japanese model, will have developed their own car industry, supplanting Volkswagen and BMW from the world markets. The German society is like most of the Western communities heavily indebted. The growing pension obligation makes German debt obligation in the long run unsustainable. 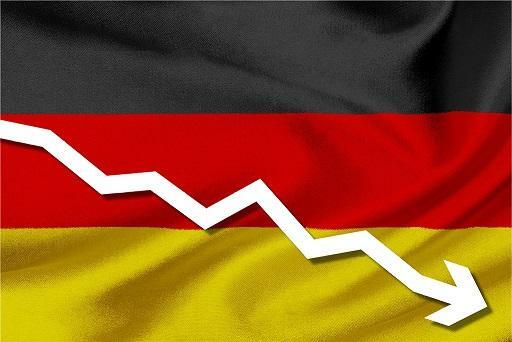 The German economy is facing the same problems as the Japanese economy, which has not grown for twenty years. Japan, Italy, and Spain (the world’s third, ninth and fourteenth economies) are experiencing the demographic winter with all attendant problems. Germany, the world’s fourth largest economy, is next in line. Academic economists are still blind to what demographers can easily see: after 200 years of continuous growth, the population in the industrial world is decreasing. To put it simply: you cannot have your economy twice as big while at the same time having your population twice as small. Even if productivity quadrupled, there would still be too few consumers of goods and services. 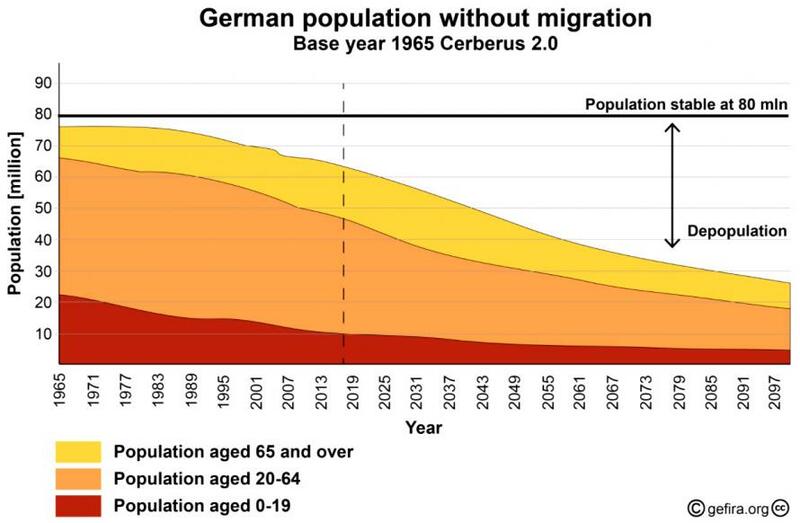 In conclusion, Germany’s problems will only start to accelerate after 2020 when every year the working age population will be reduced by 400 thousand people; by 2028 this number will amount to three-quarters of a million. The disappearance of the German nation will entail the next systemic crisis.